Capricorn, the Goat 2010 year horoscope is one that brings these people a sense of deep satisfaction. It provides them relaxation, sense of comfort and encouragement. Most Capricornia will pursue projects left behind during the last year. In the process, they may reach success level of their dreams. The New Year is also a stepping-stone for future success. They will be honest to their duties and goals that eventually take them to the goal post. Most of them will be extremely confident about their abilities to achieve big goals. This is also a year for innumerable surprises! Capricorn 2010 yearly horoscope is full of career success. However, occasional problems related to office workspace may bother throughput the year. Professional life could be complicated because of workplace jealousy and competition. This is so true during the first four months of the year. Your superiors may not cooperate with you because of many unknown reasons. Business investments may run into trouble while your competitors may start to trouble you with ulterior motives. One word of caution – Never ever lose your patience or get angry, because it may wash all the good work carried out by you in the past. On the other hand, the second half of the year is quite good and satisfactory for all Capricorn people, because things will stabilize by themselves during this time. They will be able to solve most of the problems with their patience and intelligence. On the family front, people born under this sign may witness minor marital or relationship problems with their spouse or lovers. In some cases, the problem could also be due to money matters. It is possible to solve all these problems by talking over the existing problems. Relationship with children will be wonderful and love will gently flow between all the family members. The later parts of the New Year will be smooth and fluid with no visible problems whatsoever. Social life will be just out of the world as people may mingle with friends and colleagues with a sense of purpose. 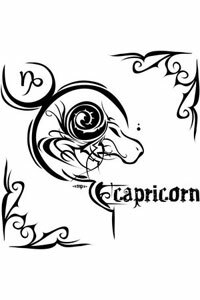 The 2010-year Capricorn yearly horoscope indicates a blissful family life coupled with complete satisfaction and contentment. Students, teachers, academicians, researchers, scholars and professionals will also do extremely well during the New Year. Academic career for students will be smooth with chances of scholarships and overseas travel becoming distinct possibilities. Intelligence and smartness will guide these people towards their goalposts. Academic rewards and successes will come naturally to these people especially in the field of research and development. Overseas travelling is also possible during the fag end of the year. 2010 Capricorn yearly horoscope indicates good health and sound mind throughout the year. The first three quarters of the year are extremely peaceful and healthy, while the last quarter may pose some minor health problems related to chest and stomach. Otherwise, all Capricorn people are extremely careful about their health and well-being. Although we are now moving away from the contradictions of yesterday’s Full Moon, the cosmic energies are still quite intense. Venus the Lover forms a superconductive trine with Pluto the Transformer as sweet romanticism morphs into intense passion. Meanwhile, the Moon enters serious Capricorn at 3:59 pm EDT and conjoins ruthless Pluto a few hours later. No longer are we dreaming of an idyllic future; we are emotionally engaged and playing for keeps. Aries: Your intuition tells you that it’s a good idea to follow your feelings today, even if they lead you into unknown territory. You may be uncomfortable with the idea of giving up some of your freedom, yet this may be a small price to pay for establishing a special connection with a powerful person. Keep in mind that consciously limiting your options to get something in return can actually feel good in the long run. Taurus: Being happy isn’t only about feeling good today; it’s also about aligning your emotions with a higher purpose. Luckily, it’s easier to accomplish your goals now that your head and your heart are in tune with each other. 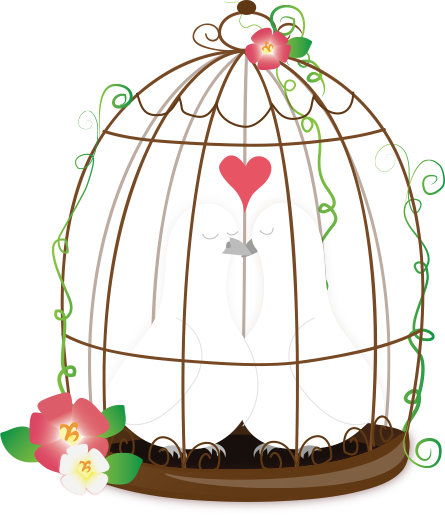 You know what you must do to attract wealth and to express love, so don’t let uncertainty limit your options. Dream big and be ready to go for the gold. Gemini: Slowing down enough to sink into your emotions can be a challenge, especially if you are afraid of your own shadow. Once you allow the noise of the day to fall away, you might be pulled into the dark recesses of your imagination where clever words are no longer sufficient to bring you back into the light. If, however, you have the courage to wait it out, negativity will fade and you will return with treasures from your journey within. Cancer: You are more than ready to handle the intensity of someone else’s fears today because you have already faced your own inner demons. It’s not that you have all the answers; it’s just that you are now willing to bear witness to the process of others without feeling threatened yourself. But don’t underestimate the commitment that is required; this is serious work and your compassion will not go unnoticed. Leo: It might be hard to find the uplifting needle in a haystack of doom and gloom today, but your search will probably uncover important realizations that can change your day for the better. You are learning a lot about maintaining your own emotional health now, yet what you discover may not be what you expect. This isn’t an easy journey, but digging beneath the surface changes your perspective and gives you a whole new point of view. Virgo: Your emotional strength is returning and even the most challenging obstacle in your path won’t likely slow you down very much today. Naturally, you will have to concentrate your efforts on any serious issue that arises, but you’ll probably do so with a positive attitude. Luckily, this isn’t about being a Pollyanna; in fact, it’s your unwavering critical thinking that enables you to see through the camouflage and effectively cut to the chase. Libra: As hard as you try to avoid it, you still might be pulled into a complex emotional drama that raises an old issue for you. Fortunately, the present circumstances are not very threatening, yet they could remind you of a previous power struggle when you weren’t in control of your feelings. Don’t look back, for your history elicits fear and tempts you to limit your current options. Instead, consider the future possibilities; whatever you put your mind to now has the potential of becoming real. Scorpio: Today your power comes from your magical ability to undergo metamorphosis. You are like the legendary Phoenix, arising from the ashes as the Moon joins your key planet Pluto and harmonizes with magnetic Venus. Others might be fearful of such dramatic change, but you know the futility of resisting these waves of evolution. Going with the emotional flow now is not a sign of weakness; it’s your greatest strength. Sagittarius: Although you can argue about the veracity of a fact, it’s pointless today to do battle over a difference of opinion. Understanding your beliefs, however, allows you to keep them separate from the hard facts. This important distinction is helpful now, and minimizes your chance of getting into a disagreement over a topic where there can never be a clear winner. Capricorn: The ambitious Capricorn Moon conjoins relentless Pluto today in your 1st House of Physicality. It’s not likely that you’ll be sweet-talked into giving up your position, yet you could perform a bit of gentle persuasion yourself. You may be overly stubborn now, even narrowly rigid in your actions, but it’s because you feel like you have so much to lose. Instead of trying to protect yourself, go out and do something creative in order to mix up the energy. Aquarius: Anything you keep to yourself now can carry even more weight than something you reveal. But this is not a call to tell everything to everybody; there are many things that are best left unsaid. Just think through your own motives for sharing and then choose the best time to talk. If you have a purpose for expressing what’s in your heart, then your current communication will ideally bring an important feeling into the open. Pisces: There’s no doubt about it; the sharpness of your practical analysis today pushes you to make an important decision about your feelings. But paradoxically, you might feel like you’re temporarily lost in the desert in search of an oasis. Even though you exhibit strength of purpose in your current choices, an uncharacteristic lack of emotional commitment can be problematic. Deciding with your head is not as long-lasting as relying on your heart.